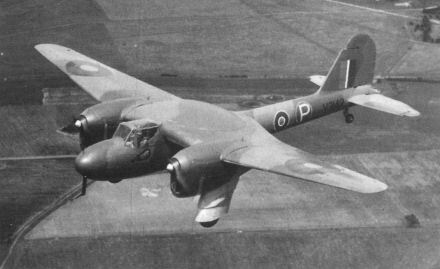 The P92/2, V3142, aerodynamic test-bed was built by Heston Aircraft. The Boulton-Paul P.92/2 half-scale model for a Vulture-engined fighter with a large dish-shaped turret in the centre-section, carrying four 20-mm. cannon.